overlooking the best break on the coast. Sand, sun, surfing, new mates. For Moth Browne life couldn’t be sweeter. crawling with the creepy grey monsters. And for Moth, the rats wreck everything. They invade his room. Gnaw at his things. things turn nasty – big time! Will the rats ever go away? Will they ever leave Moth alone? 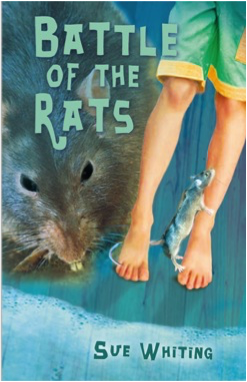 Who will win the battle of the RATS?